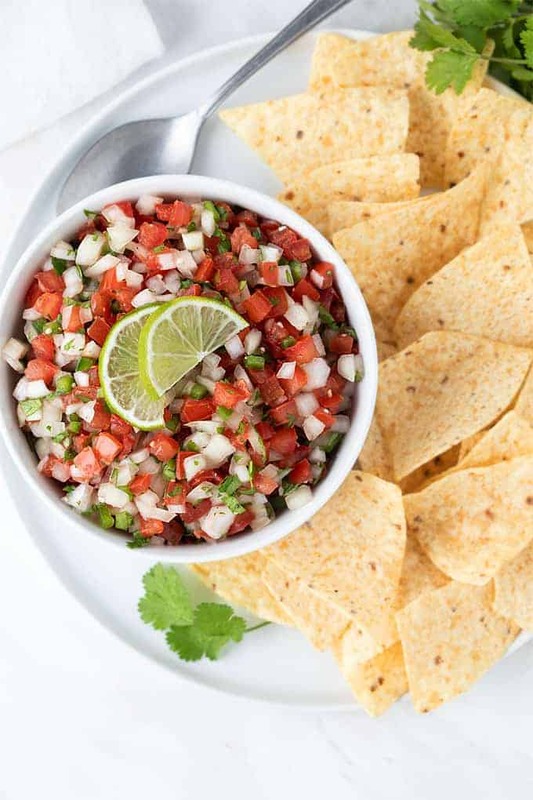 This quick and easy Pico de Gallo is a refreshing and healthy snack food or appetizer. 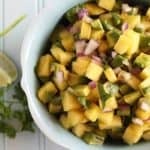 It’s also delicious served with your favorite Mexican dishes! 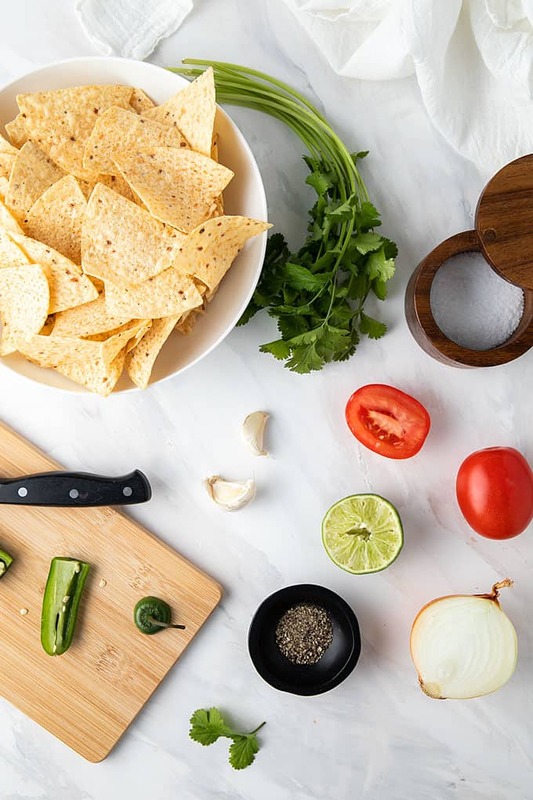 Cinco de Mayo is approaching (can you believe it?!) and this recipe is always on my menu. But it’s so incredibly easy, I enjoy snacking on it throughout the year. You just can’t beat all the fresh flavors AND the fact this takes just 10 minutes to throw together with simple ingredients! 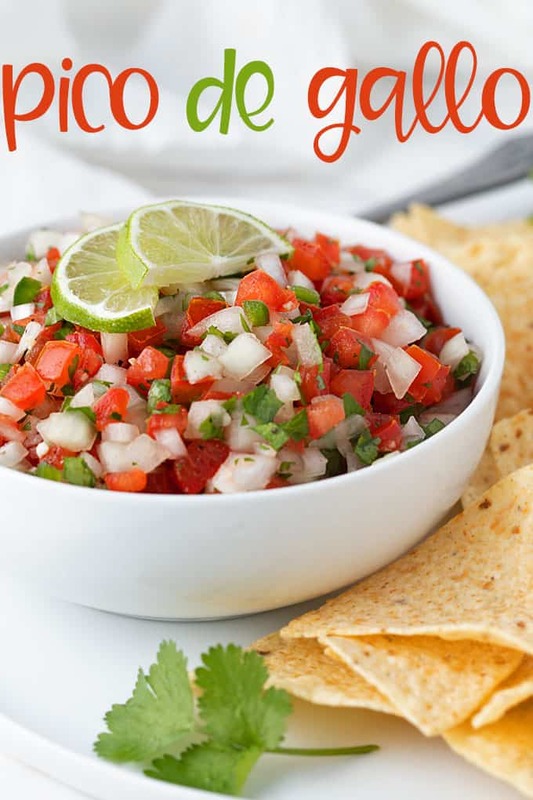 Pico de Gallo is typically prepared with chopped tomatoes, onion, cilantro, peppers, salt and lime juice. I like to add garlic and black pepper to mine, but feel free to omit if you’re going for full-on authenticity. 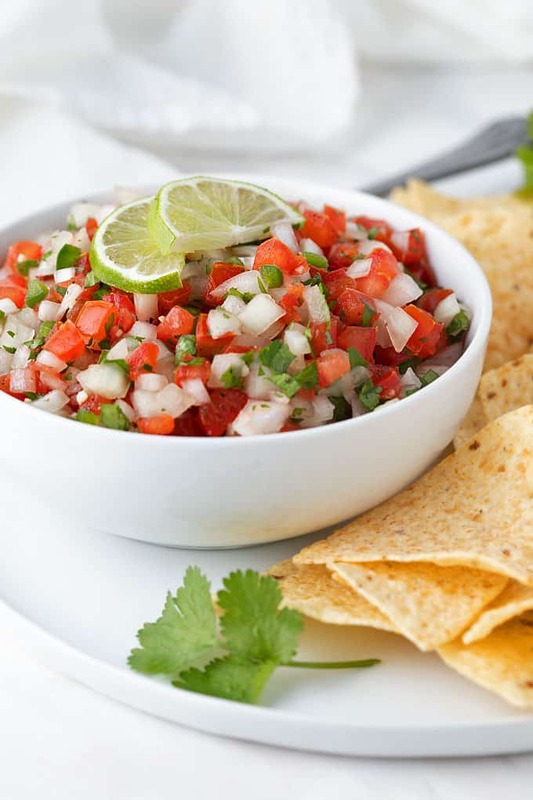 Pico de Gallo is a type of salsa, but is never cooked like some salsas. 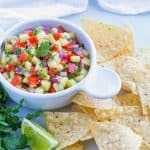 It has very little liquid and isn’t as “soupy” as traditional salsa. 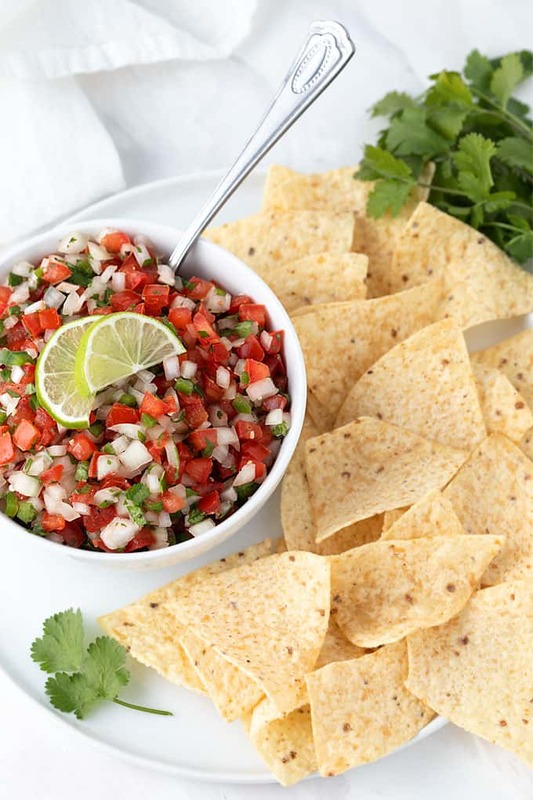 Pico de Gallo also has a chunkier texture than salsa. 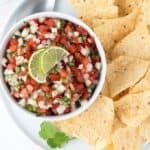 How long does Pico de Gallo keep in the fridge? Store in a covered airtight container in the refrigerator for up to approximately 5 days. 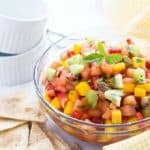 What can I serve Pico de Gallo with? Originally published July 13, 2014. Updated with new photographs and recipe slightly revised on April 10, 2019. Thanks, Derik! I love it here in NC & hope you & your wife can get here soon to enjoy it! That was a serious cookout! You guys don’t mess around, do you? We LOVE pico. It’s great on carne asada tacos but I love it most on it’s own with tortilla chips. So fresh and healthy. Yum! 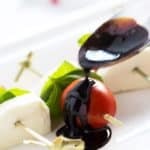 I like this recipe – easy! 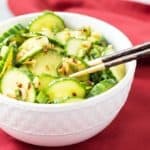 I was looking for an awesome recipe for the whole family and I stumbled on this article. 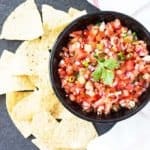 I read and followed the instructions carefully and I made this pico de gallo deliciously! Every member of my family is so happy! Thanks for this!